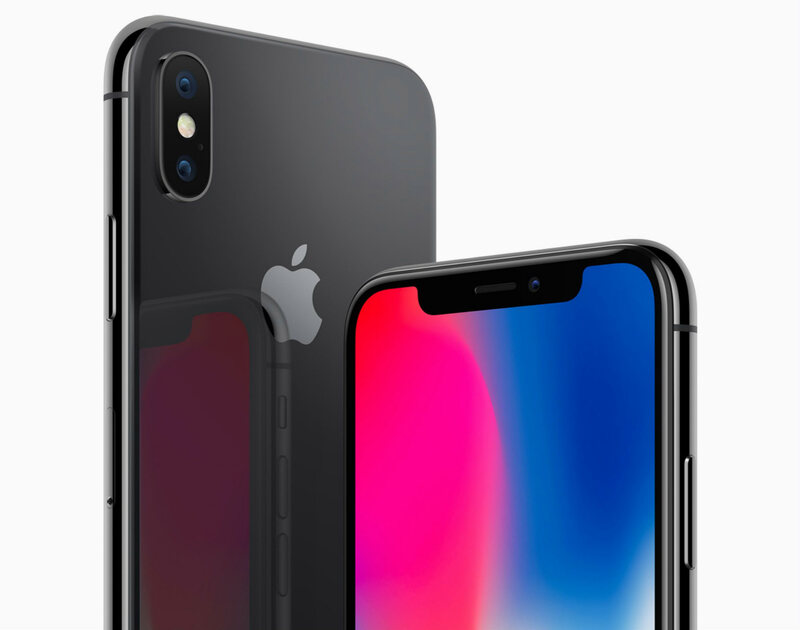 Just in case you've been under a rock the last week or so, Apple just launched the iPhone X, a phone that just might change the camera market completely. Now, this isn't to say that prior phones from Apple, Samsung, and others haven't had outstanding camera capabilities. As Tony and Chelsea Northrup point out in the video above, while camera companies struggle to figure out ways to encourage people to buy the next great camera they put out, Apple is having no such struggles with the iPhone. And since many of the upgrades from one iPhone to the next revolve around its camera, all the hubbub about the latest, greatest iPhone really is about its ability to take photos, not make phone calls. The question is, is the iPhone X good enough to kill traditional cameras? I'm not a doom and gloom kind of guy, but after having the iPhone X for almost a week, I think this is a legitimate question to ask! 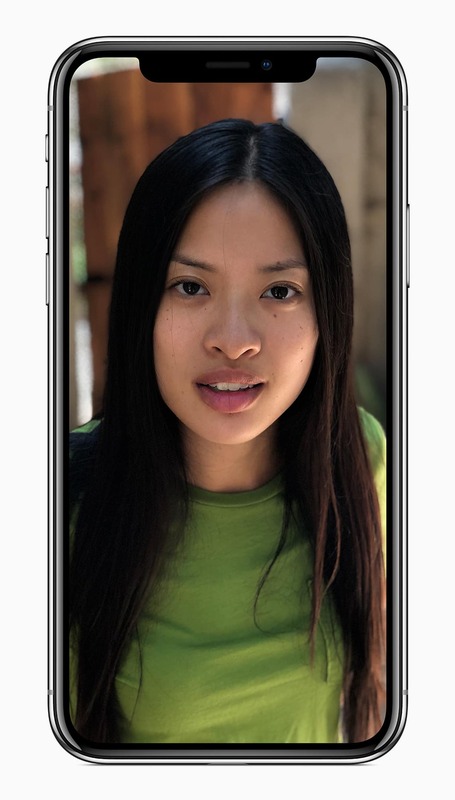 As I noted above, there are some exciting new features on the iPhone X, particularly with its camera. That includes the items listed in the screenshot above - a faster autofocus, 36% faster telephoto lens, sharper photos with less noise, and more dynamic range. 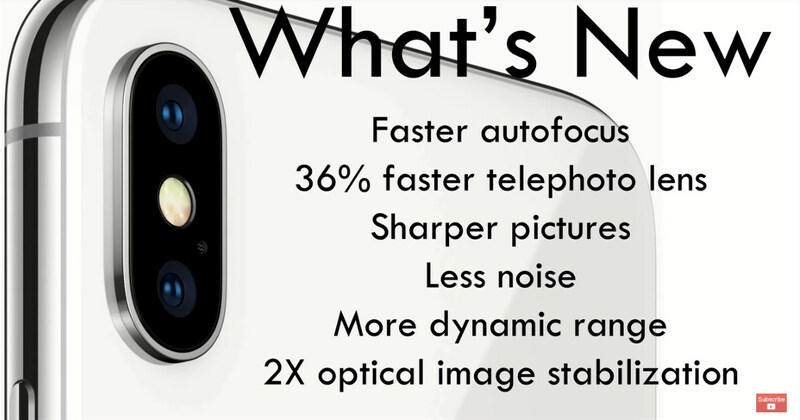 Also new is the introduction of optical image stabilization in the telephoto lens (only the wide-angle lens was stabilized in previous models). For photographers that dabble in videography, the video capabilities have been upgraded as well. Now you can shoot 4K video at 24, 30 or 60fps. 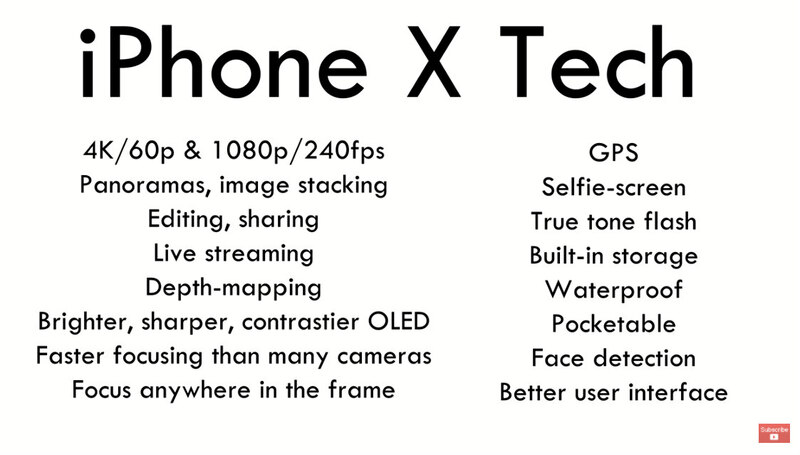 What's more, the iPhone X is capable of 240fps in full 1080p HD, which equates to 8x slow motion. Perhaps an even bigger deal than the hardware upgrades for the iPhone X's camera is the software behind it. The front-facing camera has infrared capabilities that give it improved performance in mapping the depth of a scene. That means that it's capable of using Apple's Portrait Mode, which blurs the background of the image, making for selfies that have more separation between you and the background. One of the biggest advantages that "real" cameras have had over camera phones is that you can slap a fast lens on it (i.e., an f/1.2 or f/1.4) and create images with beautiful, blurry backgrounds. 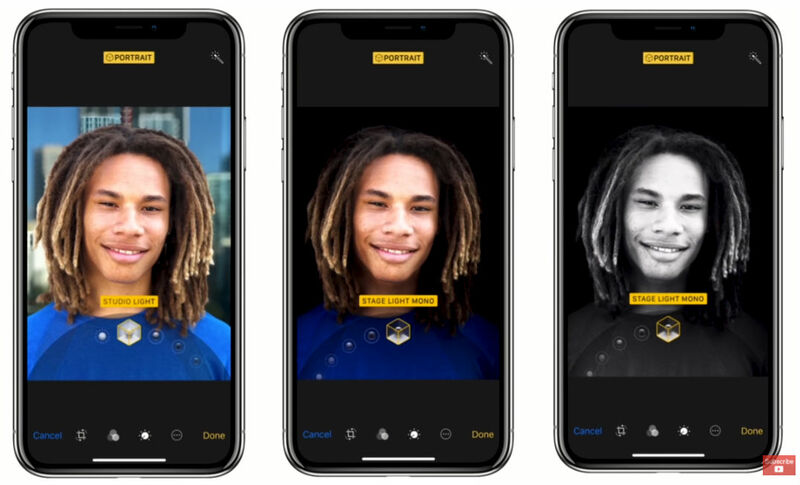 But with the advent of Portrait Mode, Apple has begun down a path in which someday, we might not need multiple lenses and interchangeable cameras for portraits because its software is so advanced that it can mimic the "portrait effect" on its own. Additionally, this software not only allows you to blur the background, but you can also completely eliminate it if you want or need to. That's definitely not a feature that you get on your traditional Sony, Canon or Nikon camera. Another software upgrade is Portrait Lighting, which is available on the front and rear-facing cameras. Portrait Lighting enables you to add studio lighting effects to images. Again, this sort of computational photography helps you create looks in your images that you can't otherwise create with a phone. For example, you can add a studio light effect to a portrait to make it look as though the image was taken in a portrait studio with a complete lighting setup. 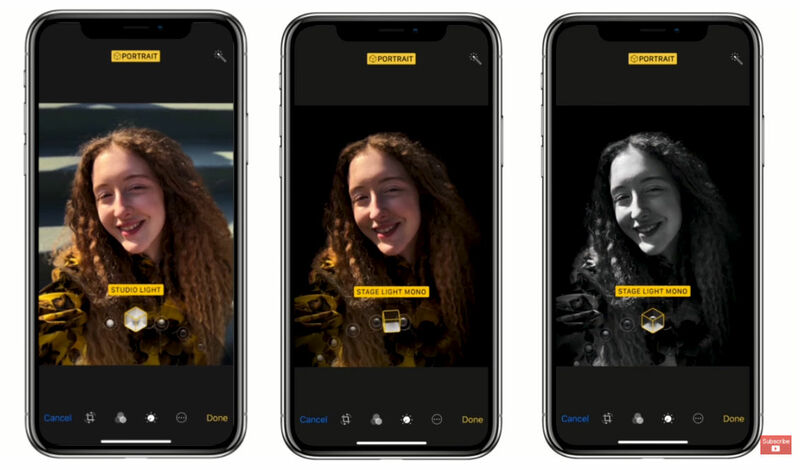 Now, this feature is in beta (and it shows), but the direction that Apple is going with this is clear - they want the iPhone to be a true all-in-one photography gadget that includes lens effects, lighting effects, post-processing capabilities, and so forth. That should scare traditional camera makers! In their video, Tony and Chelsea put an iPhone X up against a typical entry-level DSLR to compare their features. In the screenshot above, you can see some of the iPhone's features. 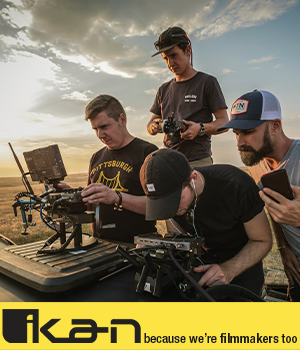 As you can see, it's loaded for bear for photographers with everything from 4K video to image stacking to face detection to waterproof construction. You can also focus anywhere on the iPhone's screen with a simple tap, and the iPhone actually focuses faster than many traditional cameras. Perhaps best of all, your iPhone is also your post-processing machine and your tool for sharing images, so it's truly an all-in-one photography experience. That's certainly not something that traditional cameras can offer. Unfortunately for traditional cameras, there's just not a lot they can offer now that surpasses the iPhone and other smartphones today. 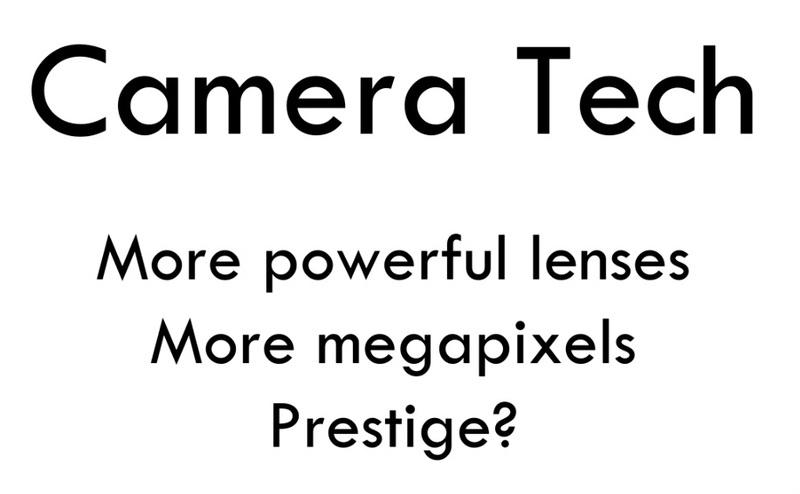 Certainly, the availability of better glass and more types of lenses is a huge plus, giving traditional cameras far more versatility than the iPhone. For example, you can't really use an iPhone X for sports photography where a 200mm lens is advantageous, nor can you use it for astrophotography, where a wide-angle f/1.4 lens would be helpful. Traditional cameras also have far more megapixels, giving you more flexibility in the size of prints you can make given the higher resolution. 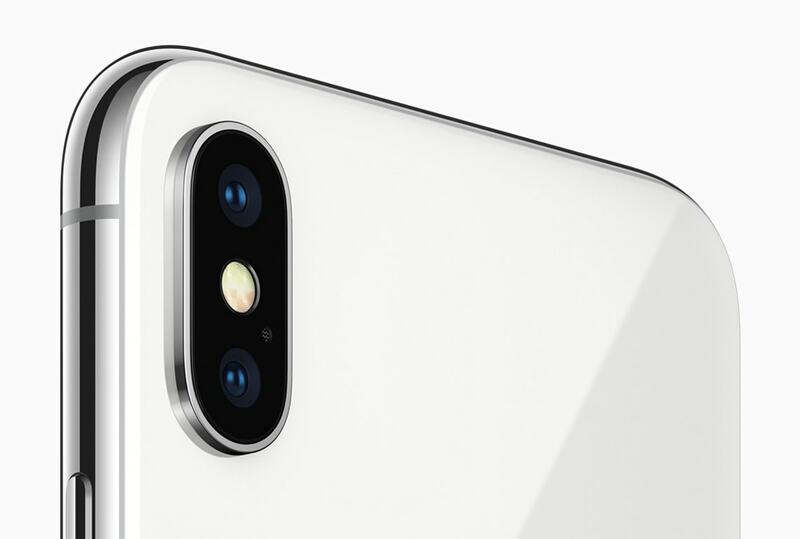 Even entry-level cameras have 18 or more megapixels while the iPhone X offers just 12. The fact of the matter is that smartphones are becoming more and more powerful cameras. That's thanks to the commitment of companies like Apple and Samsung - and the competition between them - to come up with new, fancy hardware and software features that help them claim the top spot for the best smartphone camera, even if that moment is fleeting. In other words, I don't think the iPhone X will kill off the camera market. But it's clear from examining the iPhone X's hardware and software that Apple is headed in a direction that will likely give us a fully featured camera that can go toe-to-toe with high-end DSLR and mirrorless cameras. That moment might be five years away or 10 years away, but I'm willing to bet that that moment is coming, and photography will never be the same as a result. For more discussion and insight into this issue, be sure to watch the video by Tony and Chelsea Northrup at the top of this article.